Technical Intern Training Program allows technical intern trainees to acquire and master the skills of the Japanese industries and professions under the employment relationship for a maximum period of 5 years. Administered by the Japan International Training Cooperation Organization (JITCO) its stated purpose is to provide training, technical skills and technology experience for workers from developing economies. The government-run internship program was first established in 1993. There is a need to provide training in technical skills, technology, knowledge from developed countries (hereinafter, referred to as "Skills") in order to train personnel who will become the foundation of economic and industrial development in developing countries. In an effort to address this situation, the Japanese government has created the "Technical Intern Training Program", an initiative that provides training for a specific period in industrial society to both youth and adult workers from all countries. The purpose of this program is to transfer Skills to Technical Intern Trainees who will form a basis of economic development in their respective countries and play an important role in Japan's international cooperation and contribution. The "Technical Intern Training Program" has the following benefits. 1.Technical Intern Trainees will advance their careers and contribute to the development of industries and companies through the utilization of their acquired skills after returning to their home countries. 2.Technical Intern Trainees will contribute to the reform of quality management, work practices, cost awareness, etc., and to the improvement of production in their home countries through the utilization of their acquired skills and know-how. 3.The program will benefit Japanese Implementing Organizations, etc., through the strengthening of relationships with overseas companies, the internationalization of management, vitalization of the company and contribution to production. 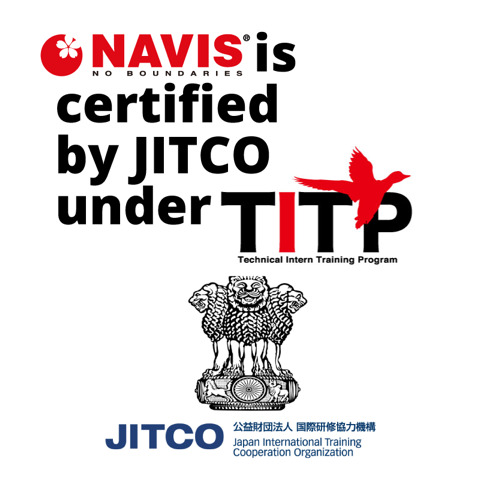 Navis is the only One Japanese Language Training Center in India approved by JITCO (Japan International Training Co - Operation Organisation) for the Technical Intern Training Program (TITP) to send a powerhouse of the younger generation from India to Japan and acquire the necessary skills. The Technical Intern Training Program ( 技能実習制度 GinouJisshuuSeido ) is a work training program providing employment opportunities for foreign nationals in Japan. Administered by the Japan International Training Cooperation Organization (JITCO) its stated purpose is to provide training, technical skills and technology experience for workers from developing economies. The government-run internship program was first established in 1993. 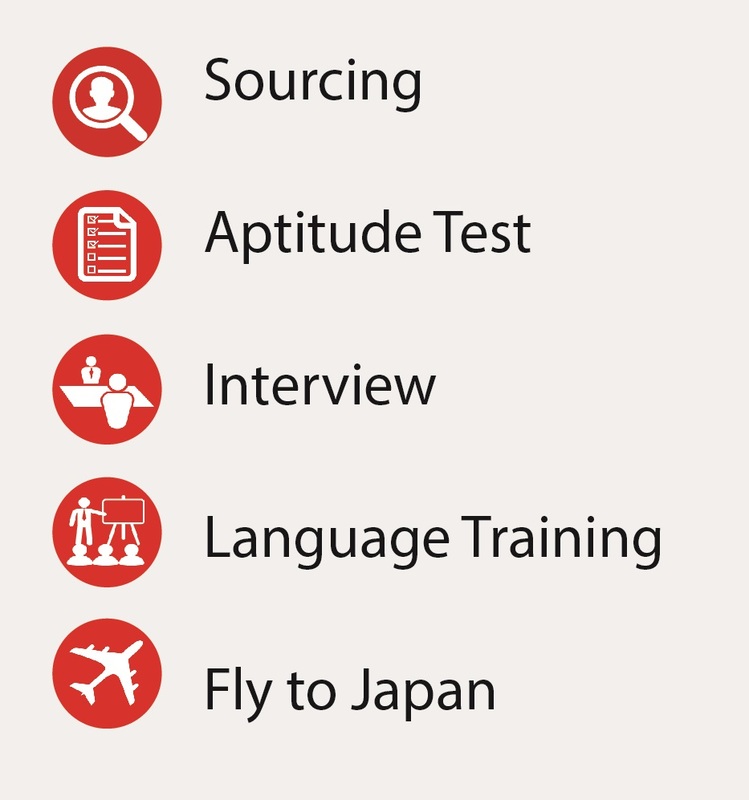 Navis is a 16 Years Company in Corporate Japanese Language Training and Japanese Business Etiquette, to Employees and Students in all the five levels of JLPT N5, N4, N3, N2 and N1. Potential connects with Japanese Supervising Organizations and Implementing Organizations. Navis Group has 75% Japanese Native Staff So Communicating with Supervising Organization, Implementing Organization, JITCO, OTIT, and Immigration Bureau will be easy as we will not be having the Japanese Language Problem. Navis, currently has huge requirements from 2 major implementing Organization for Caregiver position for around 1000 candidates. Navis India and Navis Japan has Created Separate Departments of TITP to focus and work closely with the Implementation Organization. The requirements for a person to enter Japan as a technical intern trainee are stipulated in the relatedlaws and regulations of the Ministry of Justice as follows. 1) Technical intern trainee must be age 21 or over and must be scheduled for engaging in the work which requires the technical skills acquired in Japan after his/her return to his/her home country. 3) The skills to be acquired must be impossible or difficult to obtain in his/her home country. 4) Technical intern trainee must have working experience which requires the same type of technicalskills as one that is the subject of technical intern training in Japan. Fee INR 80,000 to be paid per person.This will vary depending on the TITP Job Categories and the level of training (N5-N1). The shortlisted candidates are basically from Nursing background with an average of 3 years of expireince. Apart from their Technical Skills, the candidates are undergoing Japanese Language Training to servive in Japan which will help them to take utmost care of the Old Age People as well as Patients. Navis Nihongo Training Center Pvt Ltd, India, invites application in attached prescribed application form for Participation in TITP (Technical Intern Training Program) under OTIT/JITCO in Japan. This is a 3-5 Years Intern Program in various fields like Care Givers, Agriculture, Fishery, Construction, Food Manufacturing, Textiles, Machinery & Metals, etc. as detailed in the attachment.